Holy crap balls, it has been SO long since I've done an I'm Loving post! Ooops!! I actually really like doing these posts. It's fun to collect all of my favorite bits from the internet and post them all at once. I love sharing my loves on Cheeky Cheeky. Hopefully you'll love them, too! 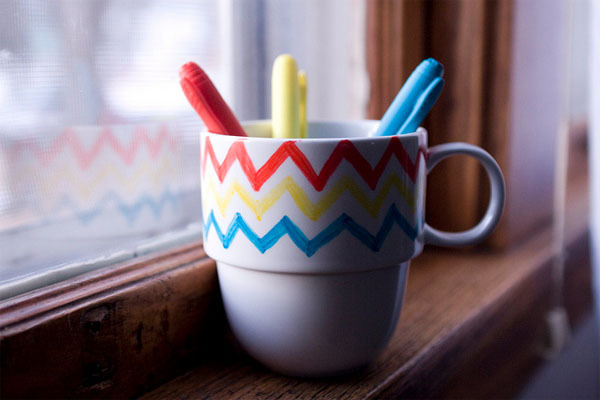 Heidi over at The Olive Observer just posted this adorable Chevron mug DIY. Recently I'm obsessed with Chevron, so I'm desperate to try this out. Perhaps a trip to Goodwill for a few white mugs is in order. 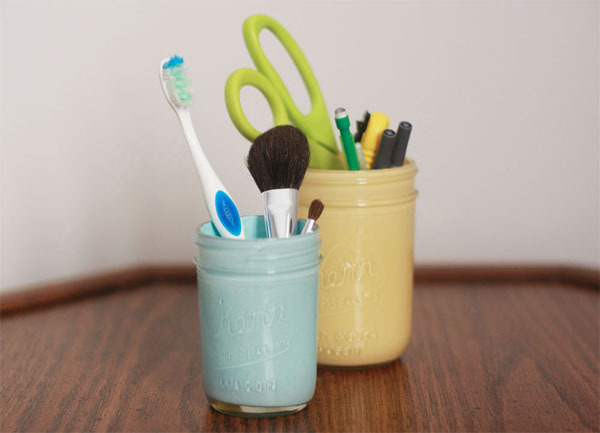 While I'm at it, I think I'll pick up some more Mason jars so I can try out Emma from Food Coma's latest DIY. It's a two step process, which is totally my kind of DIY. I love her color choices, too. If I can manage to squeeze these projects in this weekend, I'll be a happy girl. 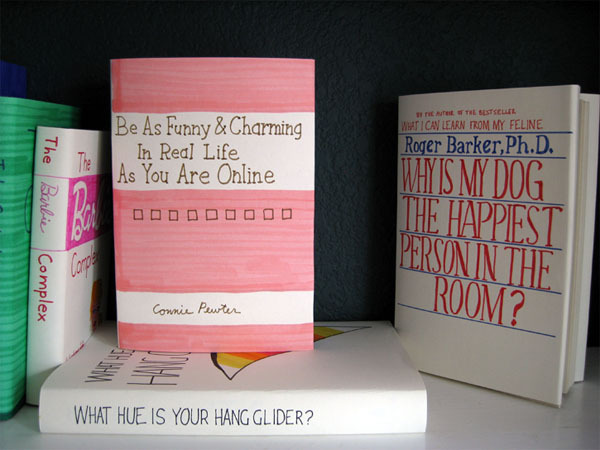 These hilarious handmade self help book covers on Low Commitment Projects have me giggling today. "Why Is My Dog The Happiest Person In The Room?" Hahaha I love it! Also, I wish I were half as charming IRL as I find myself on the internet. Zooey Deschanel is Allure's cover girl for February. Is it any surprise that I'm loving her styling & everything about these photos? She's so damn cute! To hell with everyone calling her twee. 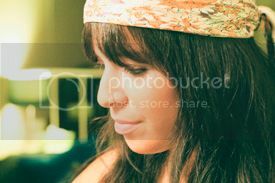 She's adorable and has the best bangs in the world. The end. 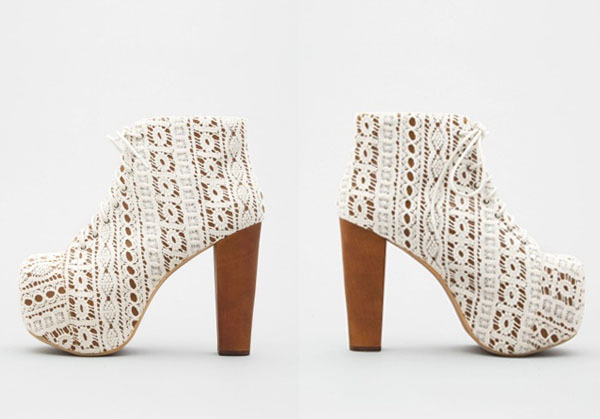 I NEED to own these Jeffrey Campbell shoes. I sincerely have nowhere to wear them, but I don't care in the slightest. They heels are SO huge and the lace is perfectly girlie. I couldn't invent a more perfect shoe. I'm a size 8.5, in case you were wondering. As a single girl, it's like my Constitutional obligation to hate Valentine's Day or whatever. 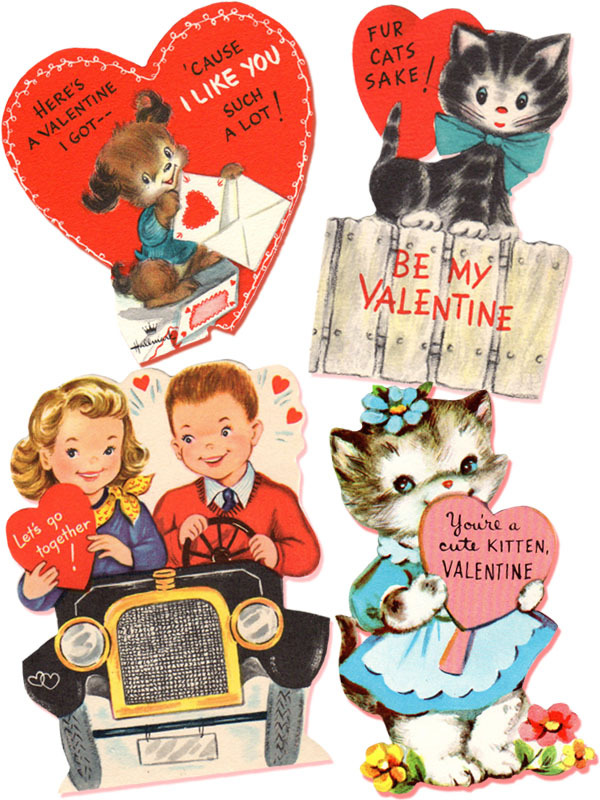 But these adorable vintage valentines from Kate at Scathingly Brilliant have me changing my tune. How adorable are these?! I've been playing around with them all morning. I might not have a valentine, but that doesn't mean I can't enjoy a kitten holding a heart! My always favorite, Grouplove, performed on Jimmy Kimmel and essentially killed it. If there's any band I want playing in the background of all my happy moments in life, it is Grouplove. They're a big ball of energy & good vibes. Love! wow! okay, so you are, like, just a little bit awesome! by little bit i mean a whole lot. found your blog via 'wake up, lovely'. aww thank you!! that's my favorite compliment ever. what could be better than being called awesome?! I can't wait to see more from Zooey's spread next month! She is just super cute! I have Grouplove favorited on my Siriusradio. LOVE THEM! DIY, Jeffery Campbell, Zooey and cute cute valentines?! You are a girl after my own heart dear! Aw, those valentines designs are so darling! <3 I love the little kitten! Aw! These are some great links! Haha loving those book covers!! Too funny.